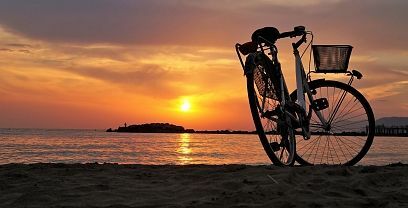 It is a big geographic space full of natural landscapes and historical cities, which, thanks to a good communication, turns into a route with great touristic interest. 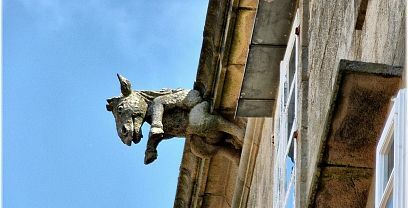 Even though it is the French Way the most well-known of the Jacobean Routes, and the Northern Way the one that holds the historic supremacy, today, as many years ago, there are other ways leading to Compostela. 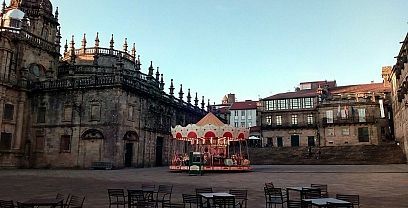 These ways are very important too because of their reliable route and also because thousands of pilgrims and tourist walk it to obtain the “Compostela”. Both of these two reasons as well as the historical roots and the current use happen in “La Vía de la Plata” (The Silver Route). 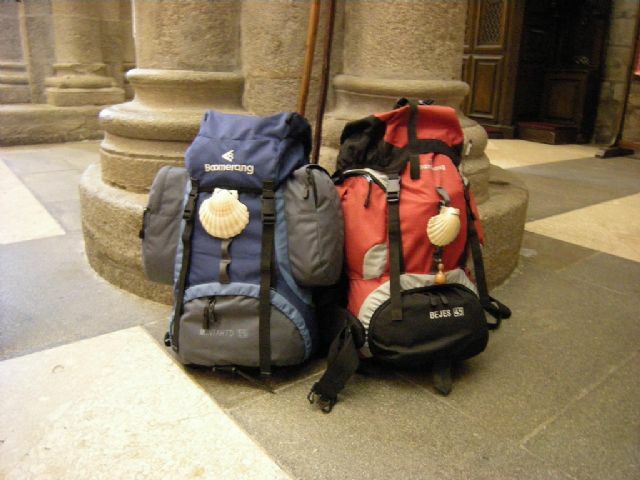 The itinerary we have chosen is the one many pilgrims walk nowadays, so, even if there are other paths, we will begin in Sevilla (Hispalis) and finish in Astorga (Asturica Augusta), where it joins the French Way to reach Santiago de Compostela. 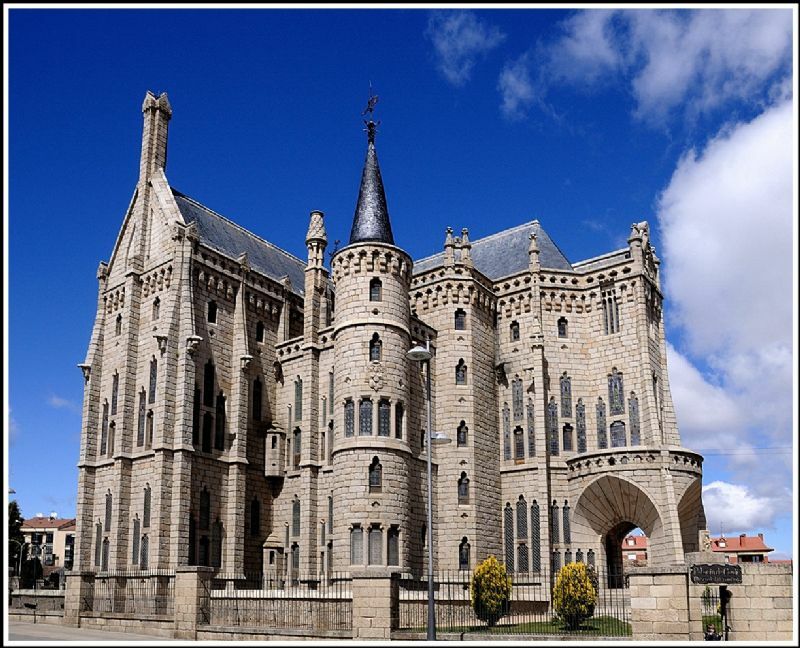 Also, from Granja de Moreruela (Zamora) and bordering The Silver Route, an itinerary called “Mozarabic- Sanabres Way” departs, leading the pilgrim through the lands of Sanabria to Lubián, the last village in Castilla y León. 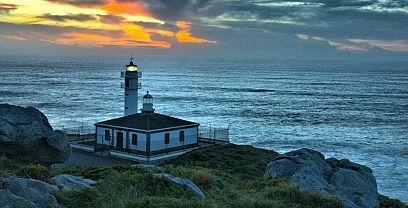 As this point, you will arrive at Galicia crossing the province of Orense and walking a stretch in La Coruña to finally reach Santiago de Compostela. When pilgrimage to Santiago acquire such a good popularity and turned into a huge religious and social phenomenon, South lands in the Iberian Peninsula hadn’t been reconquered yet, so the Jacobean style didn’t have a great influence in many of the lands you are about to pass by. 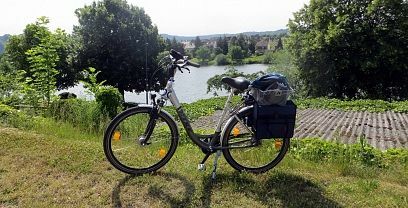 The pilgrims’ presence in the villages and sceneries forming the Silver Route is quite late. Their incorporation in the pilgrimage ways happened in a moment when the pilgrimage to the apostolic grave wasn’t in its golden age anymore (between 10th and 13thCenturies). Nevertheless, there were pilgrims on later centuries who took advantage of this route so used by traders because of personal safety and also because it joined with many other paths which merchants, travelers and pilgrims used as way of communication between the South and the North of the Peninsula. This ambition to communicate the Northeast of the Iberian Peninsula, the lower part of Extremadura and the Guadalquivir Valleymight have been pursued since the Prehistory, but it didn’t take real shape until Roman period (Romans were true forefathers of communication during the Empire). 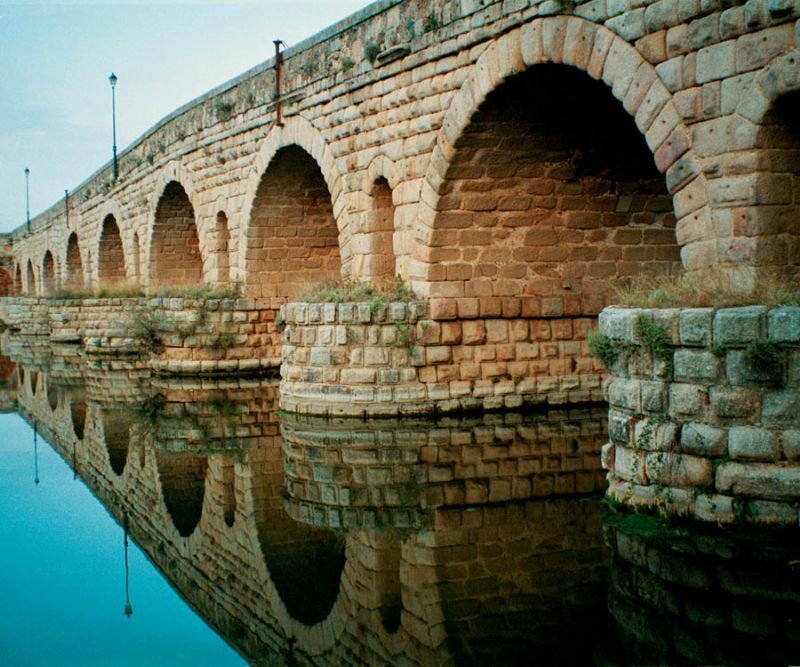 This historical path is consolidated by the Romans joining Merida (Emerita Augusta) and Astorga (Asturica Augusta). This ancient Roman causeway started to be built soon after the birth of Christ, in the time of Emperor Augustus, and it finished in the early 2nd Century, in the times of Emperors Trajan and Hadrian. 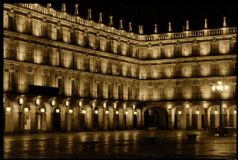 The “Silver Route” is said to be a common name, especially in the provinces of Salamanca and Cáceres. It seems to have an Arabian origin since they were the ones who named this stretch “Plata”, which means “paving road”, to distinguish it from other paths made of soil. It is easy to deduce the evolution this Arabian word would result in the present day. 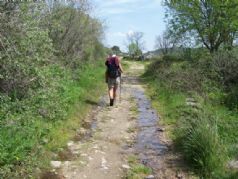 This meaning of “wide path” or “paved way” is very suitable for the stretch from Merida to Salamanca, which was made that way; while between Salamanca and Astorga it was a flat soil path. 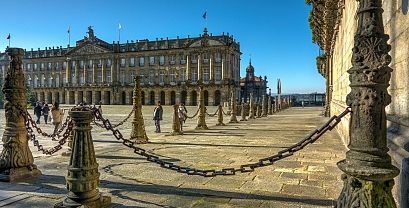 But, even though the main road has to be demarcated between Merida and Astorga, it goes south and from the capital of the Lusitania (Merida) it connects with Sevilla (Hispalis andItalica), capital of the Betica, in the Guadalquivir Valley; in the North, from Astorga it connects with another way, which through the Cantabrian Mountain Range, it leads to Oviedo (LucumAsturum) and Gijon (Gigia). With this historical approach to the space across these old Roman paths turned into pilgrimage routes many centuries later, it is good to remember that the present pilgrims not always follow the same itineraries established in the traditional and historical Silver Route. Orographic reasons plus some paths disappearance, and practical and organizational issues, have made possible the existence of some variations. 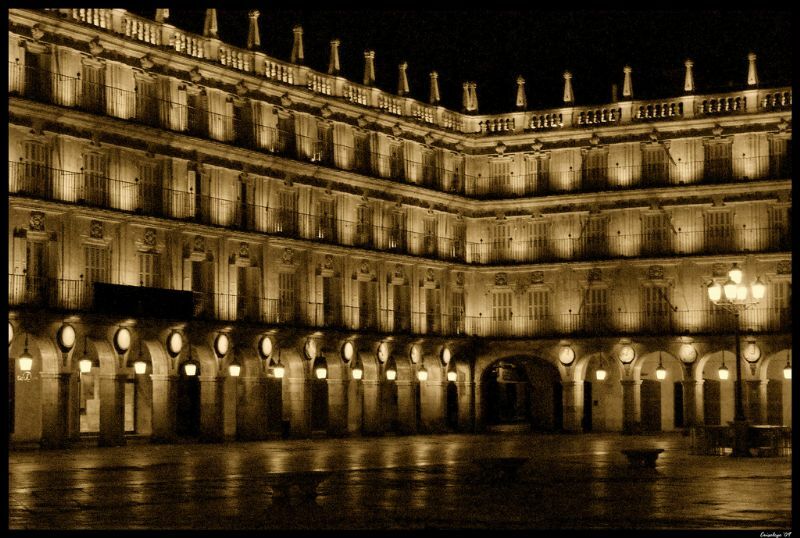 In Andalucía, many different paths converge in the main way which begins in Sevilla, the old Hispalis. This settlement (today, a populous city and administrative center of the Autonomous Community) was an influential center in Almohad times, becoming the capital of their Empire. 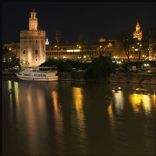 The archaeological remains that have been found show the strength and refinement of this Muslim metropolis built on Guadalquivir riverbank; it is nowadays the main place for tourist’s visits and pilgrims that just started their walk on “Los RealesAlcázares” (The Royal Fortress), palace ensemble of the great Arab masters, where you can admire splendid halls and patios. 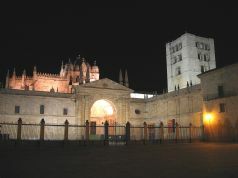 The Cathedral, the biggest Gothic temple of Christianity in Spain, has a unique bell tower known as the “Giralda”, which is also an ancient minaret of the great mosque. A tour around Sevilla will take you to typical and special boroughs as Triana or Santa Cruz, and visits in some buildings are highly recommended, such as “La Torre del Oro” (The Tower of Gold), “El Palacio Arzobispal” (Archbishop’s Palace), “La Casa de Pilatos” (Pilato’s House) and many others. You should miss urban spaces very emblematic like “María Luisa’s Park” or the bank of River Guadalquivir. From the Cathedral, meeting point which pilgrims normally use as zero-mile, there is a total of 722.5 km distance from Astorga, place where this route connects with the French Way; from there, you will have to walk 257.2 km more to Santiago de Compostela, which makes a total of 979.7 km from Sevilla to Santiago. 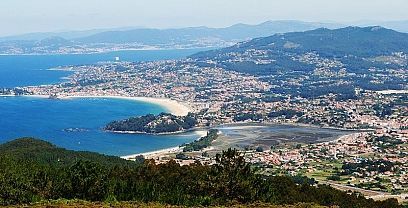 As regards the itinerary known as “Mozarabic- Sanabres Way”, pilgrims will face a 149.2 km walk from Granja de Moreruela (Zamora) to the limit with the province of Orense, and then, once in Galicia, they will have to keep going 224.1 km more to reach the Cathedral of Santiago de Compostela; that makes a total of 373.3 km from Granja de Moreruela to Santiago. Pilgrims or tourists who decide to walk this Way will cross different and varied lands. You shouldn’t forget that in hot weather, this Way might be dangerous if you run out of water as distance between the villages is quite long. Therefore, we suggest a good planning of the route. 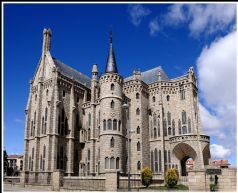 Once you arrive at Astorga, you will start following the French Way to Santiago de Compostela. To download a route in PDF format you must be registered , this is a simple and free process also enjoy other benefits.